DJ Lessons For You in the following locations: San Francisco, Los Angeles, Miami, Las Vegas, Seattle, Sacramento, Denver, New York City, Chicago and Greater Phoenix Area ! DJ Lessons For You from DJ4LIFE exclusively in the following locations: San Francisco, Los Angeles, Miami, Las Vegas, Seattle, Denver, New York City, Chicago, Sacramento, and Greater Phoenix Area ! Remember that night at the club when the music was so hot, you just had to dance? Remember thinking, "Man, that looks like the greatest job around. I want to learn to do that! At DJ4Life, we're ready to turn those dreams into reality. This program is designed for someone who has no prior experience in DJ'ing and wants to learn the basics. There is no special requirements to join as program is designed to fit any individual of any age or gender that wants to learn what DJ'ing is all about at his own pace with a private DJ tutor. Our tutors are carefully selected and work part-time. They must meet certain criterias and be known as a reputable local DJ's, with at least 50+ live performances. Our private Sessions are structured to take a place at Instructor's home studio, at mutually agreed time, so you will learn in a relaxed atmosphere and in a place where actual DJ's train. Often this can be an area that is part of their living room space or patio or even a bedroom or basement. These are real DJ's that find the time in their busy schedule to share the passion with pure beginners, so don't expect a classroom settings, that is not DJ4life program. Sessions are designed to be no longer then 1.5 hours (90 min) and typically you will only need 4 sessions to master the basics and be on your own. Total price for all 4 sessions is $599 (Reg. $999) and it includes use of the equipment with the instructor at his home, and unlimited support, even after all the sessions are over. We build a relationships with our students and at anytime in the future if you need an advice or have a question we are there for you, there is a reason why we call ourselves, DJ4Life. Watch the video for a full description of what this program will do for you and we hope you will join us soon. Register NOW securely with PayPal ! D:FUSE: DJ, drummer & producer, with over 10 artist albums, and more then 50 original releases, Lost Angeles Recordings label co-founder and an all around great and inspirational mentor ! According to famous Paul Oakenfold: "D:Fuse represents what I admire most: he has worked hard for what he has acheived, he is a fantastic DJ and artist, he has a creative mind to understand the whole vibe. He makes a wonderful instructor in San Francisco BAY Area ! Watch our program overview and summary ! 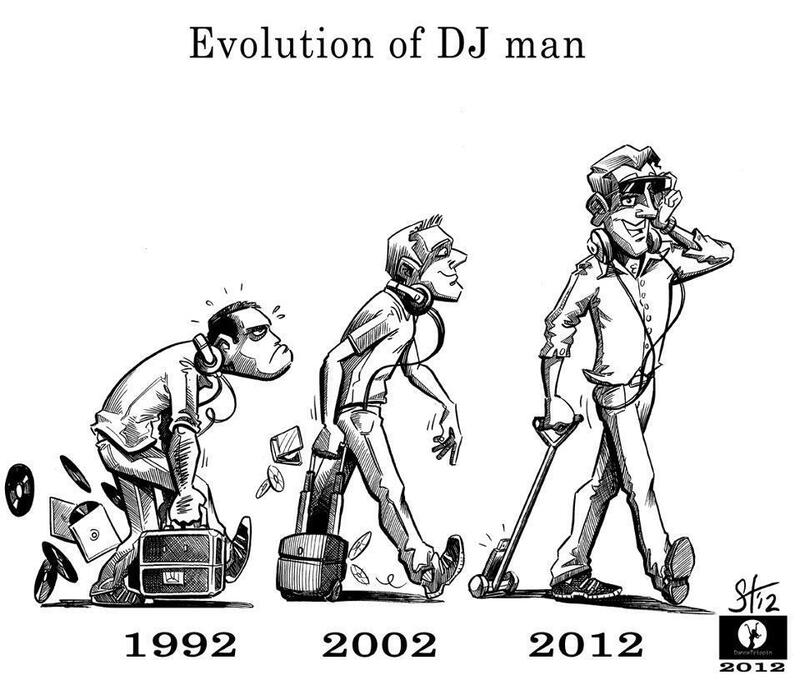 At DJ4LIFE, starting out is simple. You will click to register and pay, then you will receive a welcome email asking you about your schedule and it all begins with the first lesson ! Classes are available in San Francisco, Los Angeles, Sacramento, Miami, Denver, Seattle, Las Vegas, Scottsdale, Az. I just finished my DJ4LIFE Level 1 classes and trust me, they felt like the best "rush" I could get. If you love music, what's a better aphrodisiac than mixing all of your favorite tunes together, sharing the love with people and passing on the energy to them? Because these are one-on-one classes, you get "all" the hands-on time and you get all the instructor's attention. If you have any questions, they get answered right away. Anytime you want a technique demonstrated, it's done. DJ4LIFE has been so inspirational for me! you get experience with a real life DJ, I'm so happy with how experienced the instructors are and how willing they are to help you along with buying DJ equipment to any questions you have outside of the class. I couldn't have asked for more. DJ4LIFE is a community organization that matches local experienced DJ Tutors with a pure beginners willing to learn the craft in a relaxed no pressure environment. The concept originated in San Francisco in 2009 with a simple Craig's List ad and has spread out to several USA cities and int'l locations with tutors offering classes in Electronic Dance Music (EDM), Progressive, Electro, Deep, Tech House, Techno, Trance, Breaks, Downtempo, Chill. Currently, DJ4life can match you with a carefully selected DJ tutors in San Francisco, Los Angeles, Sacramento, Miami, Denver, Seattle, Las Vegas, Phoenix and Scottsdale, Az. To respect Instructor's privacy, we will email you their home studio address after you register. Thai Life ™ is committed to ensuring that your privacy is protected. Should we ask you to provide certain information by which you can be identified when using this website, you can be assured that it will only be used in accordance with this privacy statement. Thai Life ™ may change this policy from time to time by updating this page. You should check this page from time to time to ensure that you are happy with any changes. By ordering any products from this site you are agreeing unconditionally to all terms as described in this disclaimer. If you do not agree to these terms, you may not use this site. Thai Life ™ may modify this website and the terms and conditions of use at any time. These products may not be purchased by anyone under the age of 18. These products should not be taken by anyone who is presently taking prescribed medication, or any prescription drugs. Do not take if you are pregnant, have high blood pressure, heart or thyroid disease, diabetes, difficulty in urination due to enlargement of prostate, or if taking MAO inhibitors, antidepressants, or any other prescription drug. The products listed on this site are not intended to diagnose, treat, cure or prevent any disease. The purpose of this document is to alleviate the manufacturer, distributor and retail outlet for any products of any and all liability arising out of any injury caused as a result of use or misuse of our products. – I am 18 years of age or over and an adult under the laws of my State and Country. – I have no medical conditions whatsoever and currently using no medication, prescription, over-the-counter or otherwise. – I am in good health and capable of making my own decisions. – I clearly understand that all products and information listed on this site is provided ‘AS IS’ and without warranty, express or implied. All implied warranties of merchant ability, therapeutic effects, fitness and taking this product for a particular use, effect or purpose are hereby excluded. – In no event will this site or its owners be liable to me or anyone else for any damages or injury caused by ingestion of these product or by its misuse or improper use, or action taken by me in reliance on information or views either verbal or in literature purchase through this site or for any incidental, consequential, special, or similar damages. – I have clearly read and understand any and all cautions and warnings, including but not limited to the warnings printed on the label (if any) and any additional warnings and cautions. This site or its owners nor any of their subsidiaries assume any responsibility for the use or misuse of any of the products listed on this site. I herein agree to carefully abide by these cautions and warnings. If I am uncertain if these products are right for me or of any of the warnings or cautions I shall consult my doctor prior to ingesting any products associated with this site.